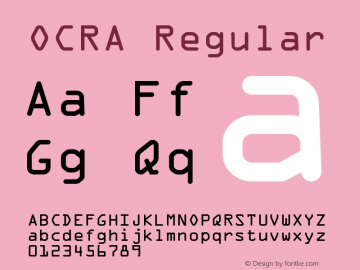 OcrA font family series mainly provide Regular and other font styles. 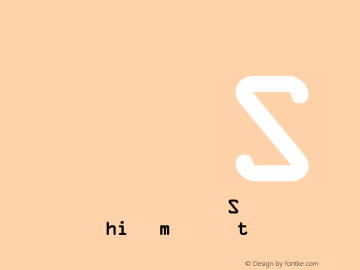 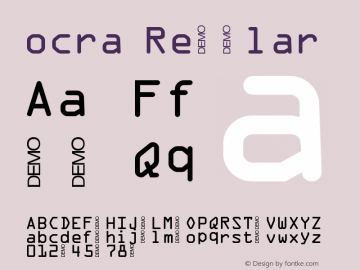 H_OCRA font family series mainly provide Regular and other font styles. OCRA-Regular font family series mainly provide Regular and other font styles. OCRA LT A font family series mainly provide Regular and other font styles. MRV OCRA I font family series mainly provide Regular and other font styles.